Roial is looking forward to an exciting addition to its season this semester taking place on Wednesday, November 2nd at 7:00pm. In partnership with the RCAH Center for Poetry and their Fall Writing Series, Roial will be putting on a staged reading of Code Blue, a one act play by award-winning playwright Kate Snodgrass. There will be a talk-back with Kate following the reading. Additionally, Kate will be giving a talk in the Lookout! Gallery in Snyder Hall at 3:00pm on Wednesday, Nov. 2 entitled “The Birth of a New Play: How a Play is Developed, Reworked, and Born on the Stage.” On November, 3rd, there will be a screening of Kate’s play Haiku in Snyder Classroom C303 followed by discussion with Kate and haiku poets Francine Banwarth and Michele Root-Bernstein. KATE SNODGRASS is the Artistic Director of Boston Playwrights’ Theatre. Kate Snodgrass is the Artistic Director of Boston Playwrights’ Theatre and the Boston Theater Marathon, which she co-founded. She heads the MFA in Playwriting Program at Boston University and was designated a StageSource “Theatre Hero” in 2001, a Playwriting Fellow with the Huntington Theatre Company in 2005-07, and a Milan Stitt Outstanding Teacher of Playwriting in 2010 by the Kennedy Center. She was awarded Boston’s Elliot Norton Award for Sustained Excellence in 2012. 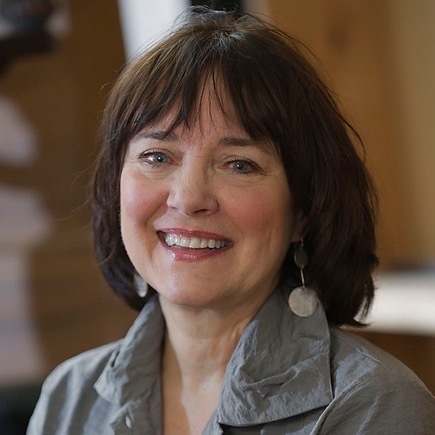 The author of the Actors’ Theatre of Louisville Heideman Award-winning play Haiku and the winner of two IRNE Awards and a Gertrude Steinberg nomination, Kate is the recipient of a 2015 Tanne Foundation Award for her passion and commitment to the Theatre. Kate studied acting at the London Academy of Dramatic Arts and in NYC and is a proud member of the Dramatists’ Guild. Her short plays Bark’s Dream and The Last Bark were produced by Sleeping Weazel in 2015 and 2016, respectively. We’re excited to release another promo video for this semester’s collection of One Acts. Gatecrashers, written by Peter Pitt, is a play about an elderly Jewish couple who end up becoming suspects in a robbery on their way out of their hotel. Gatecrashers is directed by Holly Bronson and Hannah Warren. Crazy in Love: A Night of One Acts opens on November 3rd at 8:00pm! We’ll see you there! We’re only about one week away from the opening of our first MainStage production of the year. Crazy in Love: A Night of One Acts opens on November 3rd at 8:00pm! The first act of the night is Catch of the Day directed by Emily Clark and Holly Simon. Check out the video about Catch of the Day below, created by Roial Film members Dwayne Yancey, Alec Comes, Lindsey Spitzley, and Jacob Tenney. Roial is looking for deck crew, a light board op, and a sound op for both of the Fall Shows! No previous experience is required, and we are available to help you figure out what position you’ll fit in best if you’re on the fence. Send your application to Stage Management Coordinator Randy Fields at roialplayers@gmail.com by answering the following questions by October 25th for the One Acts and by November 20th for Much Ado About Nothing. 1) Do you have any past experience with Roial or anything stage crew related? 2) Which position are you looking to help with? 3) What show would you like to work on this semester and why? 4) Will you be able to make every tech date? Tech week times are not entirely set, but be prepared to work all day on the first Sunday and anywhere from 6:00pm-12:00am Mon-Wed. We are willing to be flexible with class schedules, don’t let being busy deter you from asking for more information! Thanks to everyone who came out to audition! You’ll find the cast lists for this year’s shows below. Here’s to a fantastic season! Come see Roial at Creative Collaborations today, September 10th, at the Wharton Center for the Performing Arts! Creative Collaborations is an opportunity to learn more about arts and culture related student groups, academic programs, and community organizations. There will also be drawings to win stuff throughout the event and you can get food from the MSU food truck. Additionally, there’ll be a performance by Roial improv! Come hang out with us at the Wharton Center and meet other creative folks from across campus and the community! Interested in joining Roial this semester? Come join us for our first General Meeting of the semester on Friday, September 9th at 5:00 PM in the Pillar Room at Snyder/Phillips Hall. You’ll get to hear from the coordinators of all of Roial’s fantastic branches about the work that we do and you can sign up for auditions. And as always, there’ll be pizza and pop! Stop by this Friday and let us know how you want to get involved. Roial Improv’s first open practice of the semester will be Monday September 12th from 8-10:30pm in Snyder-Phillips room C301. If you have any interest in getting involved, please come out and see if improv is right for you!! No experience required! Open practices will continue regularly every Monday from 8-10:30pm in Snyder Phillips room C301. Join us at Sparticipation today between 5:00 and 8:00pm! Whether you’re interested in learning more about the organization or want to see all of your friends after a long summer, it’s sure to be a good time! You’ll be able to sign up for emails about the branches of Roial that interest you, and we’ll have stickers too! Come down to Cherry Lane Field (next to Wonders Hall in south neighborhood) and hang out with us!